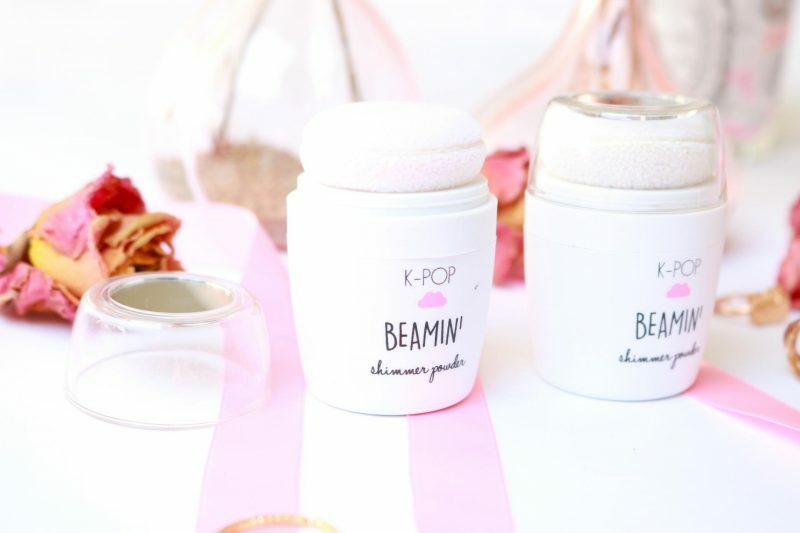 Today I will talk about the new Primark PS… beauty range: K-POP. If you are a beauty lover like me you know that South-Korea is the place where they create and innovate new products. They are the mark leader when it comes to beauty. 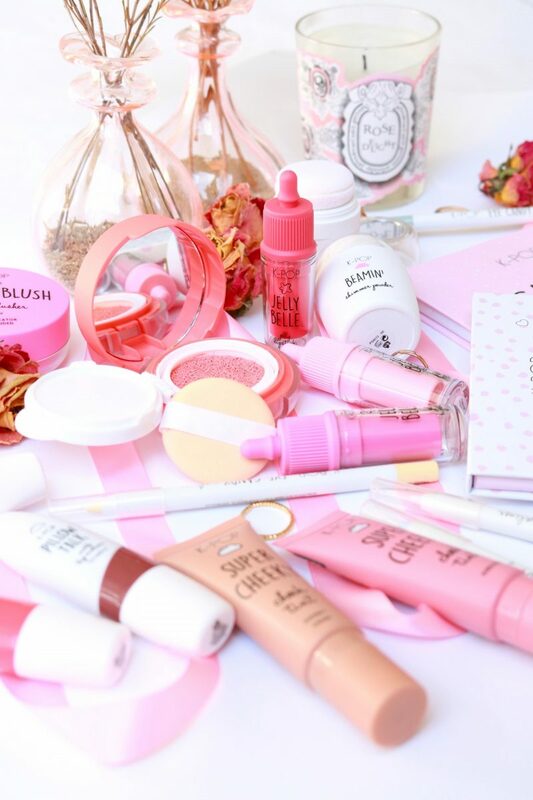 A lot of Western brands are inspired by the South-Korean products like the cushions, lip tints and BB creams. Everyone has at least one item in their stash that is inspired by the Korean beauty, I can tell you that! 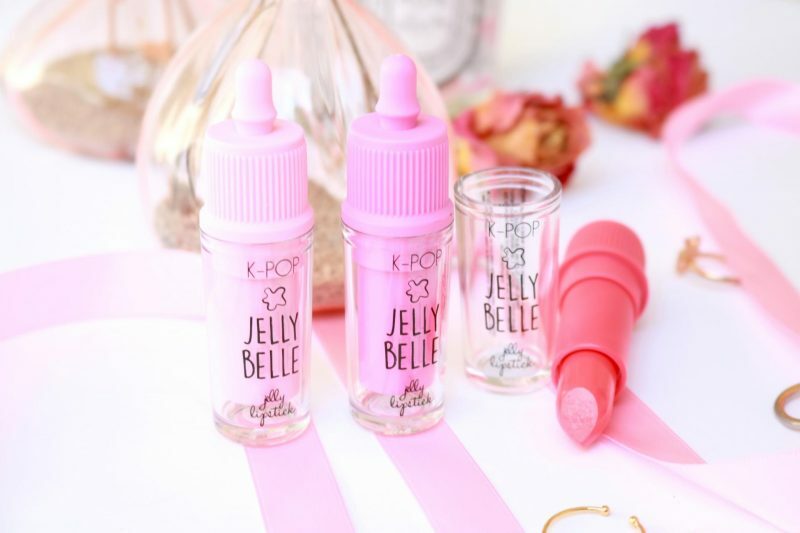 Primark created this K-POP line with a fun twist; you can create a fresh and dewy looking skin with this line. 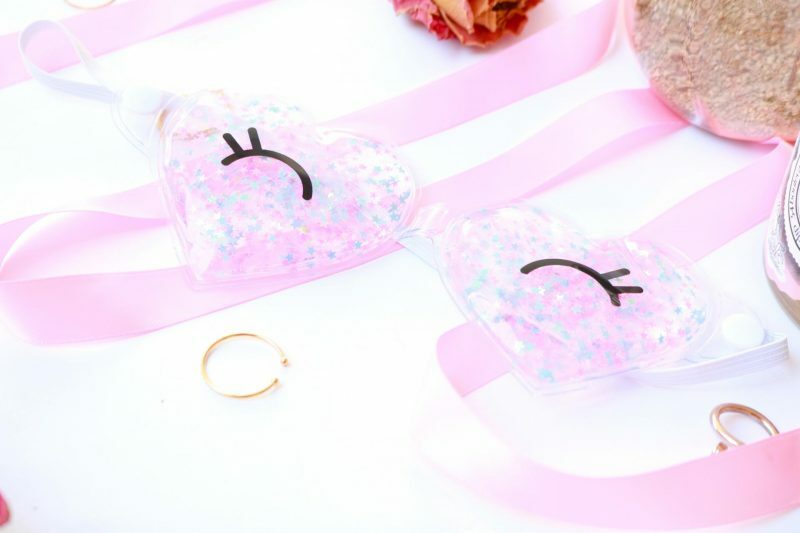 With the fun pastel colors and cute cushions you can now create your own Korean look! The name K-POP stands for Korean Pop which is a music genre in South-Korea. K-POP is well-known for their big boy or girl bands that can sing, dance and looking pretty all the time. Even the boys wear a lot of makeup when they perform on stage. A Korean beauty looks most of the time natural with a skin like glass and an even looking skin. The cheeks are usually pink/coral with no bronzer or contour at all! It is all about that young and fresh looking face and less is more. 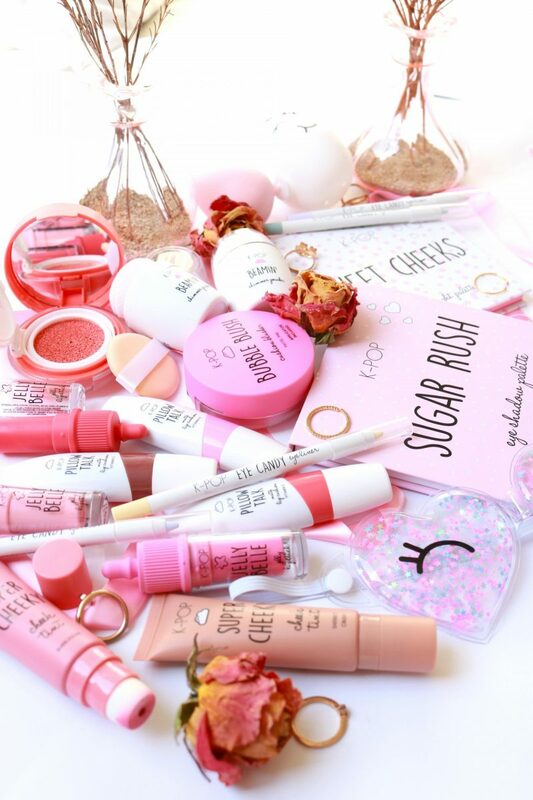 The first jewel of this range is the Beauty Sponge and Case. Sponges are a great tool when you want to apply your base to create that perfect coverage but with a dewy look. People with dry skin tend to use sponges more often because it makes their skin look more moist, also because you have to damp your sponge. 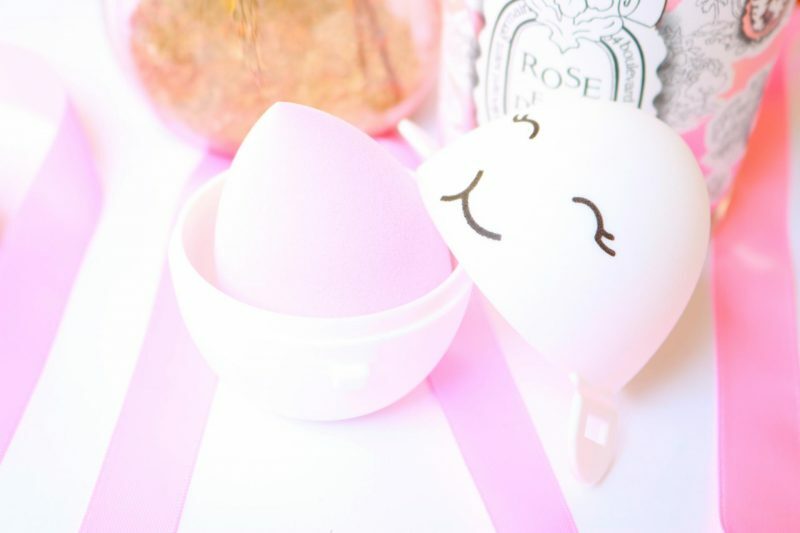 The cute egg is your perfect sponge holder when you are on the go. Also a great sponge holder when you just cleaned it and it needs a place to dry up. Underneath the egg there are two small holes, so your sponge gets enough air to dry up. The sponge itself is shaped as a water drop, the tip can be used for applying powder and the bold side for foundation. It is a little bit more firm than the real Beauty Blenders but I think it will work great when you make it damp. 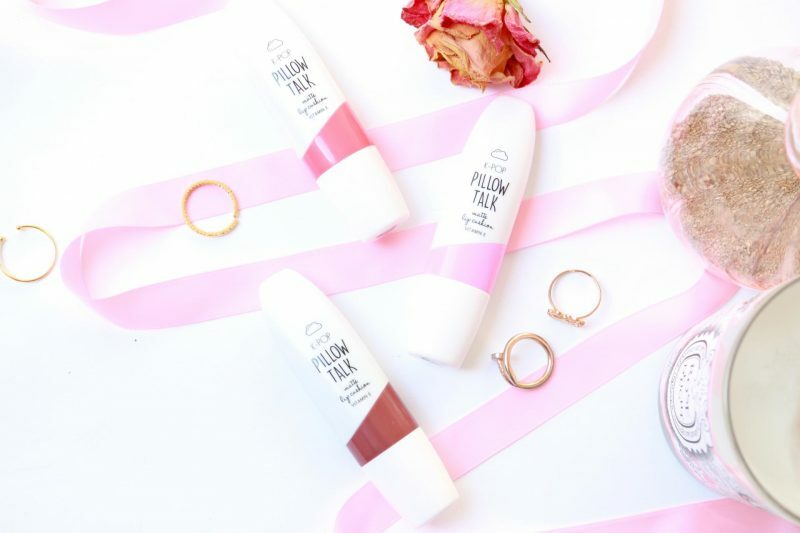 Pillow Talk Lip Cushion is a cute lip products that has to be applied with a soft cushion on the tip which makes the finish make look more natural and airy. Lip cushions are a big thing in South Korea, when I was there, there were only 2 options: Lip tint or lip cushion. Korean women like their lips to look natural and soft while western people like to have more lined lips and high coverage. I was literally the only one out there which had a full lipstick on. All the other girls had like a subtile lip tint on the inside of their lips or a super sheer moisturizing lip balm. I felt so glam when I was there. They come in 3 shades. From left to right: Cuddle, Jelly bean and last Honey bun. Next up is the Beamin’ Shimmer Powder. A fun product if you want to apply extra shimmers and glitters into your life. The packaging is cute because it has a cushion application again and the lid contains a small mirror. Just tap the cushion anywhere on your face and body to add some extra sparkles. They are quiet visible on the skin, so I would personally only use it on the body. I like the idea of some glitters but I think that the packaging is not helping to make the application more easy. Little side note, be careful when you remove the lid. The glitters may explode and cover your entire room. These come in silver and gold. 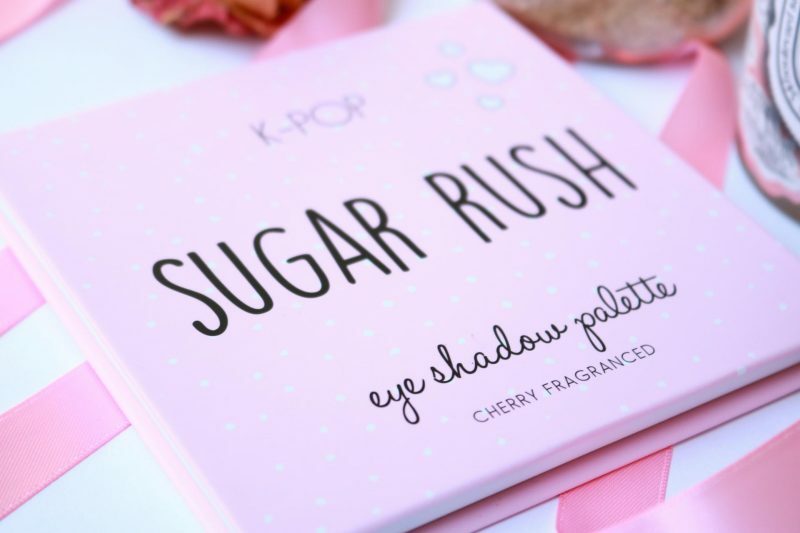 Here we have the Sugar Rush Eyeshadow Palette. 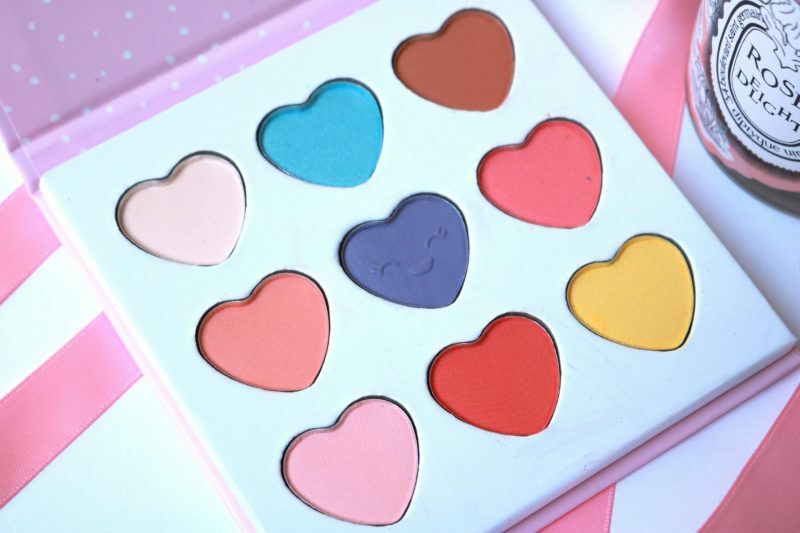 A cute eye shadow palette with 9 gorgeous pastel shades. The best thing is that this palette smells like cherries. The pigmentation is quite good, better than I expected. And it blends beautifully on the skin. I think this palette will work for everyone because it contains light and dark shades perfect for spring! That pop of blue and purple makes this palette so great. When I first saw the palette I though it would have tons of pink shades in it, but I’m really happy that they came with all of these beautiful shades. 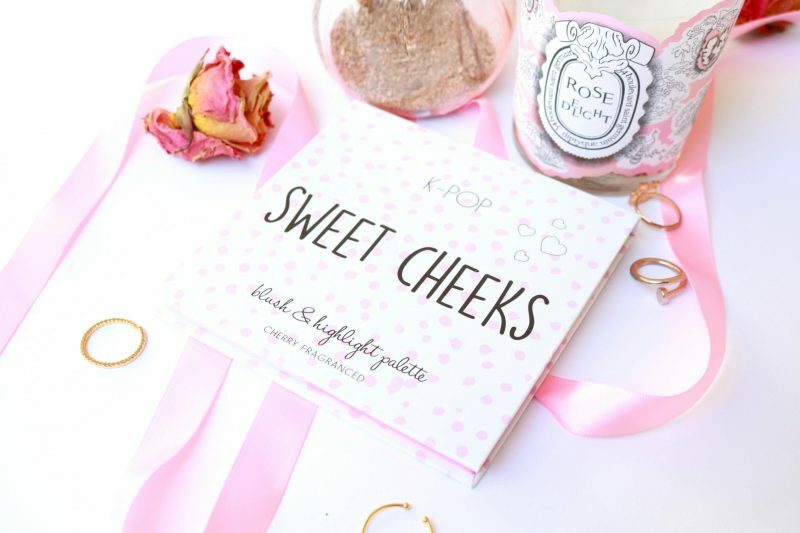 Next is the Sweet Cheeks Blush & Highlight Palette. 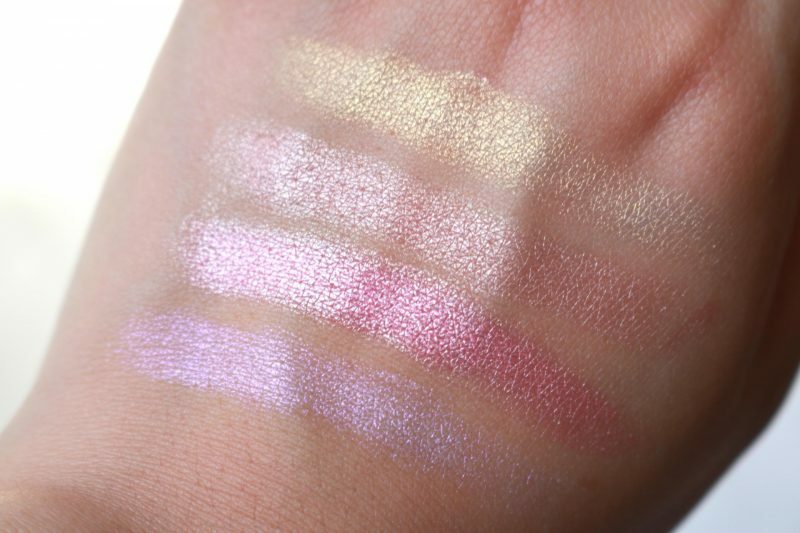 Oh my gosh I am blown away by the quality of this blush and highlight palette. The powders are super pigmented and blend super smooth on the skin, did I already say that it was super? 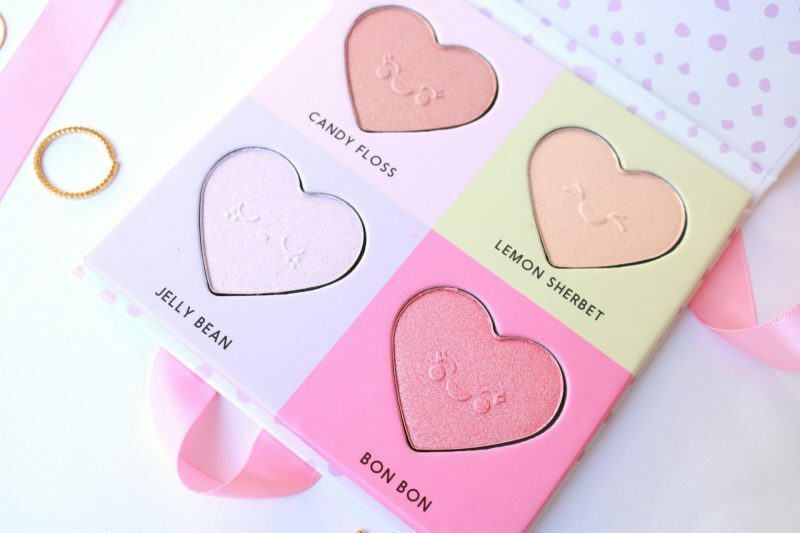 My favorite shade has to be Bon Bon because it can be used as a blush and a highlighter and contains that beautiful pop of pink to create that innocent look. Anyway, all of these shades are just beautiful! I still can’t believe how great this palette performs on the skin and how well the finish looks like. My compliments to the shade Candy Floss because that is a super pretty rose gold tone! Then we have the Eye Gel Mask. Not quite sure why they included this in the Kpop collection. But it is a cute item. Can be used when you have a headache, when you want to rest or when you are sick of your lazy boyfriend. The eyes give a therapeutic sensation when you squeeze them. Multifunctional. Wear them or squeeze them! I tried it out on my boyfriend and he was not complaining. 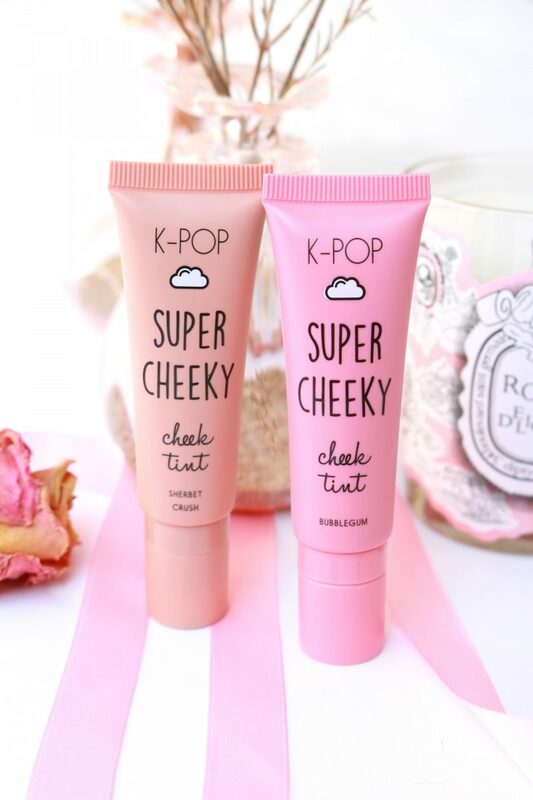 Super Cheeky Cheek Tint is a liquid blusher with a sponge applier. I used a couple of times but I’m not very excited about the darker cheek tint called Sherbet. 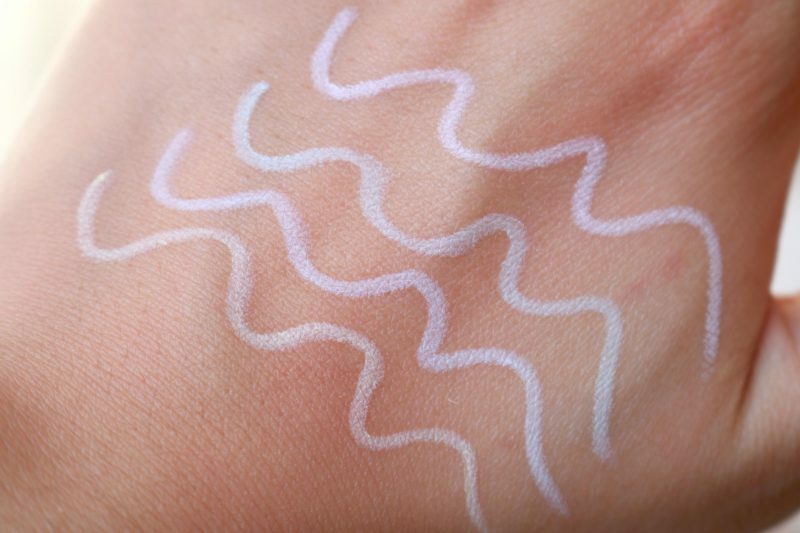 This shade can be used as a contour which is not the most used product in Korea. They like to have an even pale skin. When I was there I noticed that me and my friend were quiet tanned compared to the girls over there. They didn’t used any contour products, only on their nose. The only thing you see on their cheeks are blush. The other shade is called Bubblegum. This might be my go-to cheek tint because this shade will look perfect on every makeup look. 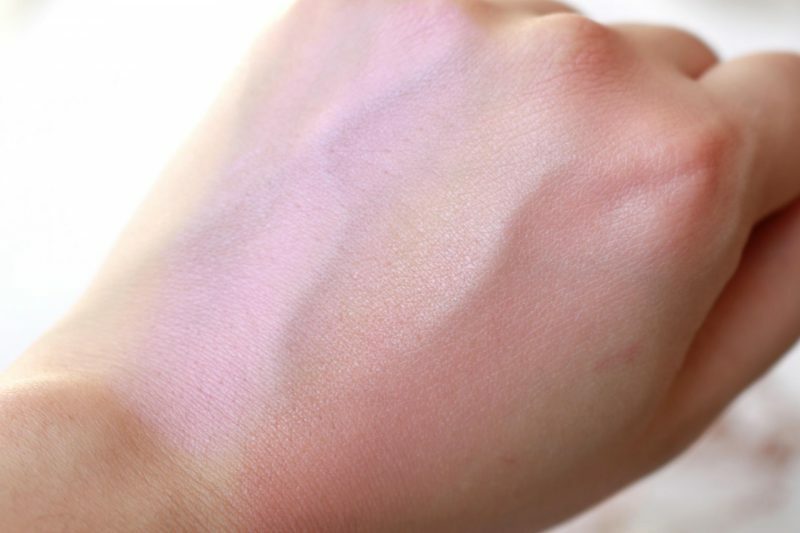 I love how the cool toned pink looks on my skin. It stays for quite a long time on my cheeks. Here we have the Eye Candy Eyeliner. 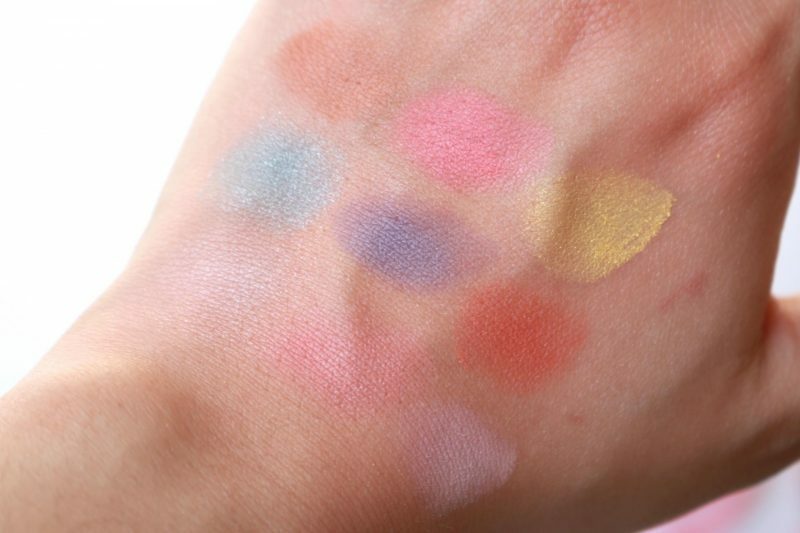 Pastel eyeliners are mostly used in the inner corner of our eyes. They make your eyes look fresher and bigger. Korean teenagers tend to have long school days. That is why they made their eyes look more awake in the morning. 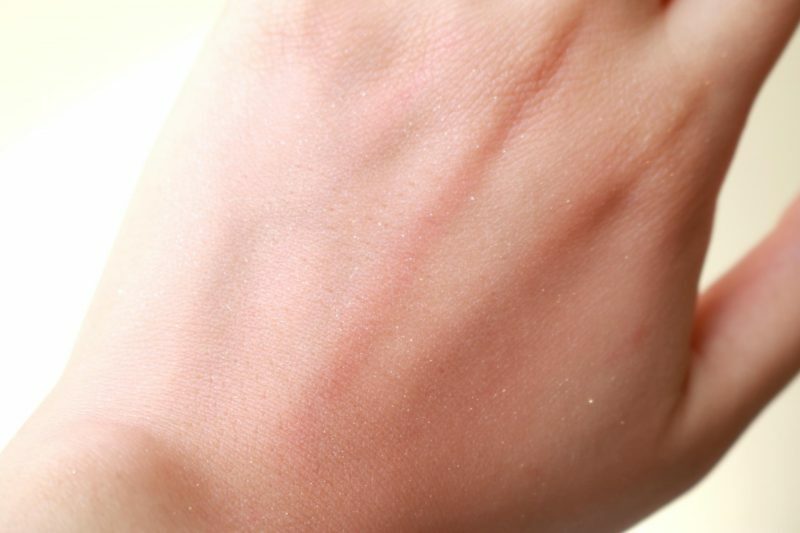 A little line underneath your waterline will make a big difference. Not only will they make your red eyes look more white and awake, the white line will also give the illusion of bigger eyes. I tried this trick many times when I was in my “harajuku” period. Yes, I had one small moment in my life that I dressed myself as a cute girl with weird clothes and 5 necklaces around my neck at the same time. They come in 4 pastel shades: yellow, blue, green and purple. 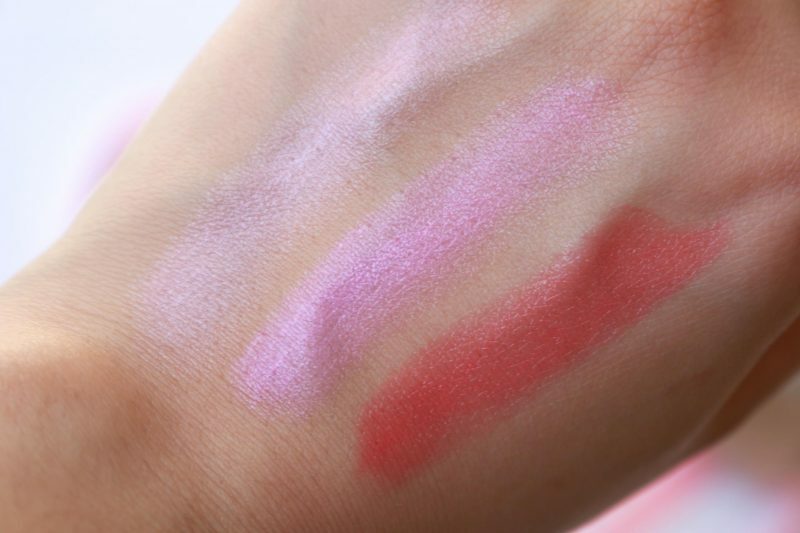 Jelly Belle Jelly Sticks are sheer lipsticks with a delicious sweet scent. It reminds me of a candy shop. And not the 50 cent kind. They come in 3 shades. From left to right Daisy Chain, Pigtails and Pink Laces. Daisy Chain looks like a shade that nobody can wear, but it is a great as a base for your lips. 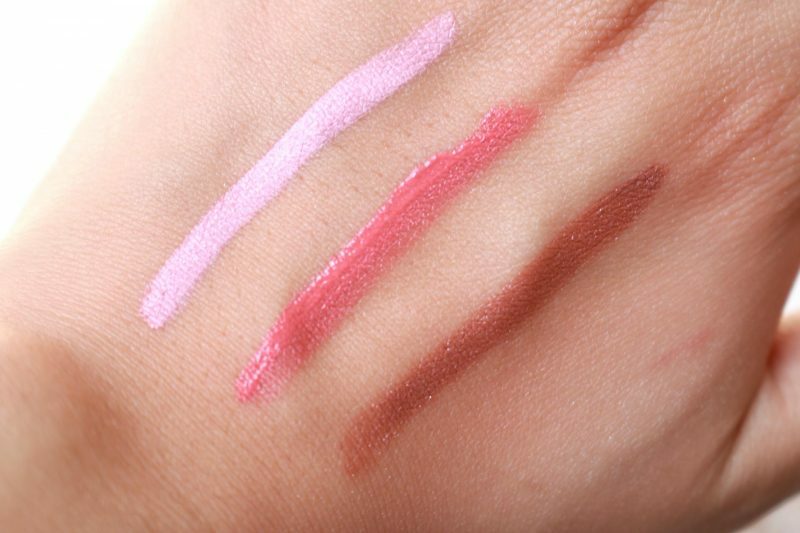 First I thought they were super pigmented but they give your lips a sheer and moisturizing finish. It doesn’t have that perfect coverage but if you use a lip pencil I think it will that perfect look! The packaging makes it look like it’s a liquid lipstick but when I pulled it open I saw it was a bullet lipstick. The packaging reminds me of another big Korean cosmetic brand. 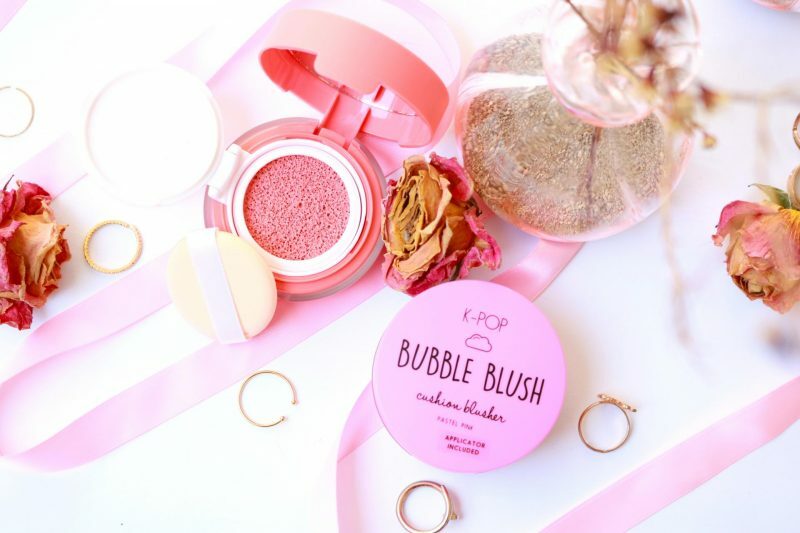 Next are the Bubble Blush Cushion Blusher. Cushions are the big South-Korean invention regarding make up. You will see a lot of Western make up brand taking over this cushion concept. While it has existed for more than 10 years in Korea. The cushion comes in 2 shades: Pastel pink and Coral dreams. A cushion will create a light, natural but dewy finish on the skin. 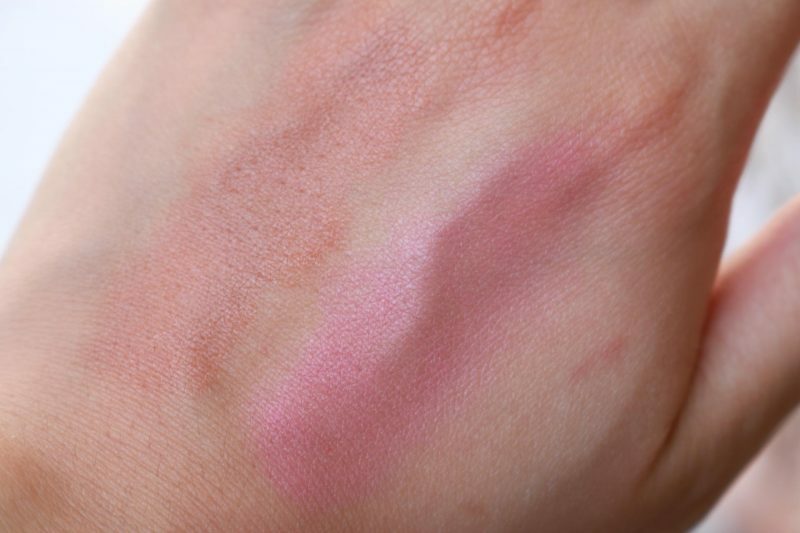 Personally I like powder blushes more since they are faster to apply with. Because with cushions you have to spend more time spreading the blush. My boyfriend hates it when I use my cushions (usually for the base). It makes a tapping noise which can be annoying when you are trying to sleep at 6AM but your girlfriend has to get ready for work. I went to South-Korea 4 years ago and it was the best time of my life. I’ve never seen so much beauty stores in one shopping street. The best thing there is that each brand has their own store! So if you ever want to travel to Asia, I can recommend you to visit Seoul, South-Korea! I went to Seoul with two empty suitcases and came home with them filled with sheetmasks, essence, sunscreens and makeup stuff. Super affordable and some big brands even have English staff to help you picking the perfect product. Primark did such a great job on creating this fun and cute collection. The Pillow Talk totally reminded me of a real Korean branded product because of the applicator and the cute packaging. The Bubble Blush are exactly the same as the blush cushions I own from another Korean brand and they give the same results. Of course you can’t say this to all the products, but it is a fun way to get introduced to a Korean influenced collection with a fun twist! 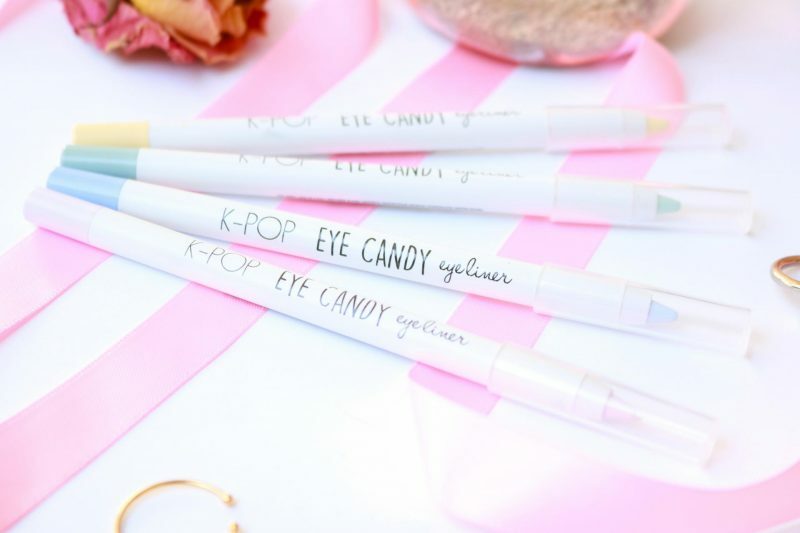 What was your first Korean Beauty item? 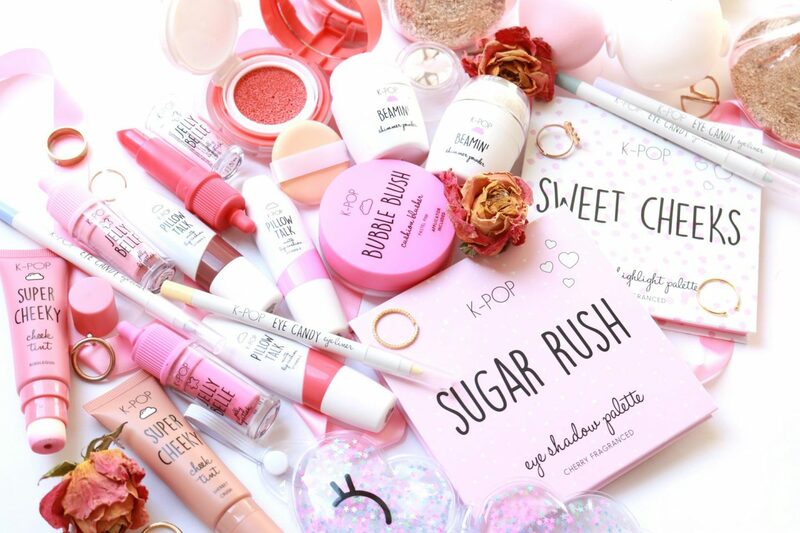 The Primark PS… K-POP beauty range is now available in stores! Het ziet er allemaal zo cute en lief uit zeg! wauw! I am so impressed with Primark right now. Love the look of this line and I think it will appeal to a lot of people. The packaging is super cute, it kind of reminds me of Too Faced. I also saw the look you created on your IG Story. It came out so natural and beautiful. But you always look gorgeous An. Great post as always! Hi. I didnt see in the post the jelly primer from this line. I just bought one but it smells funny and i dont know if its the normal scent. Can you help me? Thank you! Ahh, these are all SO cute!! I love Korean Beauty potions. I just bought myself some Holika Holika Jelly BB creme and can’t wait to use it. I wish I had a Primark near me or at least if they had a way to order online that would be sooo cool. I would love to try that blush highlighter palette.